Elastolicomposition Composition The rise of the Nazi Party in Germany and Hitler's preparations for war saw a resurgence in military toys or kreigsspeilzeug. Many promoted the NSDAP with figures of leader as well as the SS, SA and Hitler Youth. 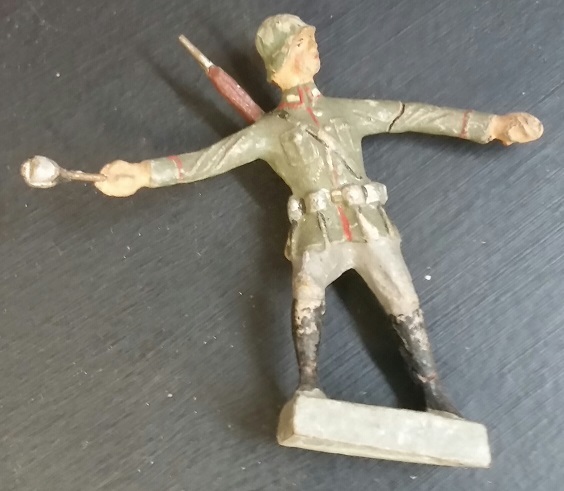 These toys played a promenient role in preparing for war and the NSDAP's all encompassing power. 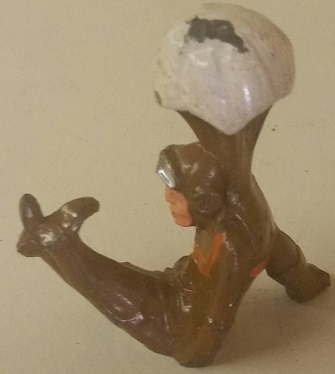 The figures offered below are 7cm IIIrd Reich era and original. Barclay and Manoil claimed the forefront of toy soldier armies of the 1930's-50's but other makers reinforced them! Britains pioneered the field and lent accuracy and detail while making the toy soldier affordable with the hollowcast mold. But Authenticast, Johillco, and others made fine toys in competition! I hope you find something you can use from the Army listed below. Postage is $2.50 per order USA or $15.00 Airmail. No fee for using paypal.